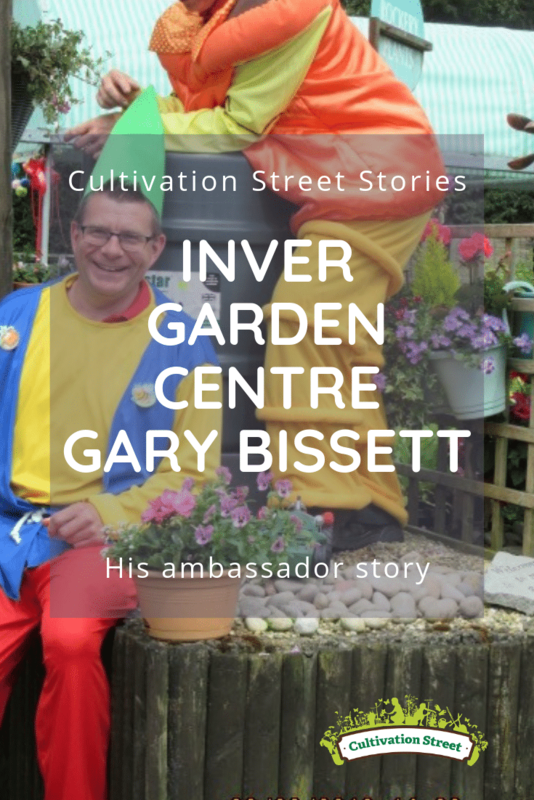 Gary Bissett takes great pride in getting involved in the local community and providing a great service for his Inver Garden Centre customers. Last year, he took on three school projects – two of which had no a school garden at all before his input. He was one of Highly Commended Ambassadors in our 2018 competition. Working with a local school of 33 children, last year Gary constructed a school garden from scratch, building recycled raised beds and planting them out with vegetables. At the end of term, each child took home a bag of school-grown produce. Gary was also able to support the creation of a sensory garden and outdoor learning space through plants donations, knowledge and labour. 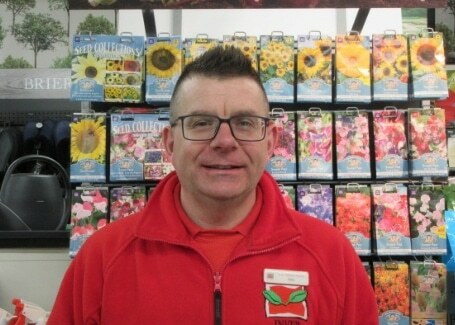 Gary is very passionate and knowledgeable about gardening and regularly holds talks and demonstrations for locals of all ages. 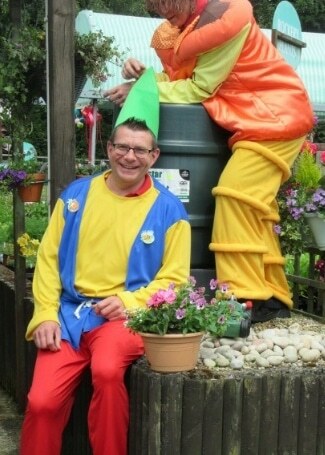 He teaches people about everything from how to grow your own to creating the perfect hanging basket. Gary also invests time in children’s projects, teaching kids how to make fairy gardens and playing a game called Bug and Gnome hunt, which involves him and his team dressing up as garden gnomes! “I received my award in September and have been out and about engaging with local schools in the autumn – planting bulbs, autumn bedding and trees. 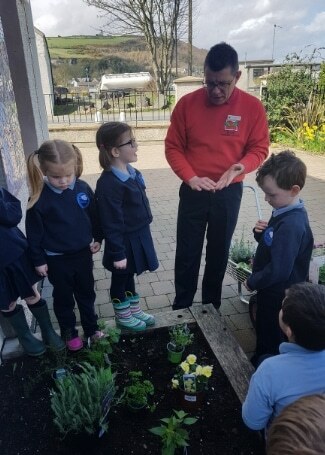 I have been planning this year’s programme with eight schools who want help in their school gardens – planting seeds, re-arranging layouts of their gardens with advice and onsite visits with the children in the garden. This year for the first time I am working with a nursing home and a nursery school to help engage the two generations. The children will be planting containers with bedding and vegetables at the nursing home with the residents. This will be quite a challenge but I feel we can all learn from this project.